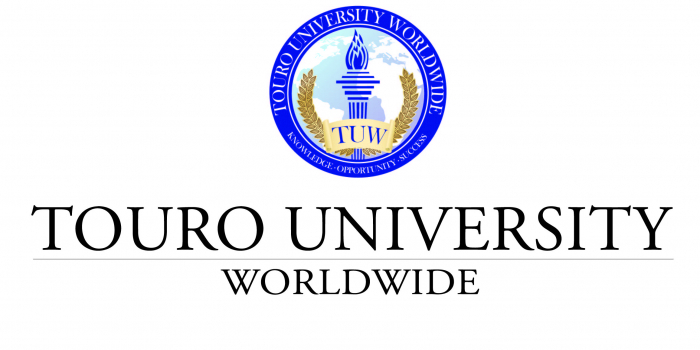 Online MBA Report recently connected with Radu Munteanu, PhD, Director, School of Business and Management and Professor of Business Administration at Touro University Worldwide, to discuss their Online MBA program. Details follow. Touro University Worldwide students are committed to social justice, intellectual pursuit and philanthropy. How do Online MBA students connect with those tenets? The core mission of the TUW, which flows into all the Programs and courses at TUW including the MBA, is to serve the underserved population and enhance the career opportunities of the underrepresented members in society. In addition, the learning model at TUW is based on free access to all learning material and there are no required textbooks which reduce the cost of education significantly and allow the students to have greater access to education. The philanthropic mission observed by our students such as affordable tuition and free access to resources, can be emulated by our students giving back to society as they enhance their professional career and in turn advance the core missions of TUW. Most of the students in the MBA Program are between the age of 22-41, evenly divided between male and females. Students are typically adult learners who want to gain practical and academic leadership and managerial skills that contribute to their professional and intellectual growth, or adult learners with various backgrounds who wish to pursue their business studies and learn the latest business, managerial and leadership skills needed to work effectively in organizations of any size or kind, including private, non-profit or governmental. Touro University Worldwide’s MBA program offers an MBA in Nonprofit management as well as 7 other concentrations. What programs are most popular and why? The most popular concentrations are: Health Administration Management, Accounting, Finance and Human Resource Management. The popularity of the Programs is driven by the current assessment of the overall economy and business environment, which provides great opportunities in the areas of finance, healthcare, accounting and human resource management. Do students have the option to take classes both online and face-to-face? No, all the courses offered are online and asynchronous. No, TUW has open admission from session to session. Touro University’s faculty offer both academic and real-world experience. How does this enhance student’s education? Highly specialized faculty body: extensive academic and professional experience both domestic and international. The majority of our faculty hold doctoral degrees. The extensive academic and real-life experience that the faculty provides ensures that students learn the fundamental theories and concepts in their respective areas of study and also gain practical skills in addressing real life situations. By the end of the Program, students are scholar-practitioners able to utilize their skillsets in a variety of settings. Tell us about the career services and professional resources that are offered to online MBA degree candidates. TUW provide career resources to all students, which include job search and professional resume builder. What advice would you give a prospective candidate for Touro University Worldwide’s Online MBA program? Dream big, be bold and be ready to be challenged and learn in order to become a skilled business professional. Why should a prospective MBA candidate choose Touro University Worldwide’s Online MBA? Flexibility of online learning, affordable tuition, high quality faculty, and high quality courses that help students learn the theory to application based solutions to real world challenges in a variety of settings.